About 25 years ago we began hearing about the 4% rule, which is the idea that a retiree can withdraw 4% of a portfolio’s original value per year and still be reasonably certain that their money will last as long as they do. 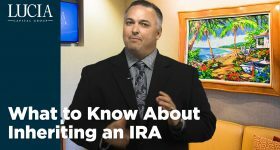 Whether it works is dependent on many different factors, but it’s a guideline that may be a decent starting point for someone looking to retire between the ages of 65 and 95. But what if you’re a lot younger than that? What if you want to retire in your early 40s—or even younger? How well does the 4% rule hold up? 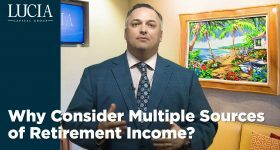 If you’re 40 years old and you decide you need $100,000 of annual income with a 3% adjustment for inflation each year, that means you’d need to start with a $2.5 million nest egg to potentially get the $100,000 you need each year at a 4% withdrawal rate. What could go wrong? As it turns out, A LOT. First, your money needs to last for 55 years instead of 30. 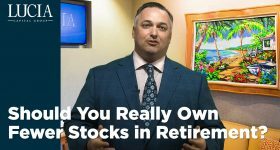 And if you’re taking a systematic withdrawal from your portfolio with a 60/40 mix of stocks and bonds, if the market performs poorly through the early years of your retirement, your money could run out very quickly. That’s due to sequence of returns risk. Next, if interest rates and economic growth remain low, we could be facing lower market returns than we’ve seen in the past. If your money has to last 50 or more years, market returns become even more critical. Third, with so much time ahead, you’ve got a greater risk of unexpected spending shocks, like a health issue or large home repair. These things can really eat into your nest egg. And at age 40 you’re also 25 years away from Medicare. That means you’ve got to fund your own healthcare needs, which isn’t cheap! All of this means that a 4% withdrawal rate may be far too aggressive for those who retire younger. An analysis by The Capital Group Companies determined that the maximum annual withdrawal rate for a 40 year old should be roughly 3.38 %—and it goes down to 2.79% if you factor in potential spending shocks and lower future returns in the market. So keep this in mind if you want to retire early: with a longer retirement to fund for, there’s potential for a LOT more uncertainty. This is yet another reason to talk with an advisor and get a strategy. Different types of investments and/or investment strategies involve varying levels of risk, and there can be no assurance that any specific investment or investment strategy (including the investments purchased and/or investment strategies devised by Lucia Capital Group) will be either suitable or profitable for a client's or prospective client's portfolio; thus, investments may result in a loss of principal. 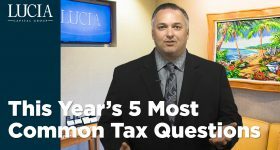 Accordingly, no client or prospective client should assume that any information appearing on this website serves as the receipt of, or a substitute for, personalized advice from Lucia Capital Group or any other investment professional.